Visible from the Painter Road approach to Tyler Arboretum and nestled on the hill between the Visitor’s Center and the Barn, the Fragrant Garden has been part of the landscape at Tyler Arboretum for over sixty years. 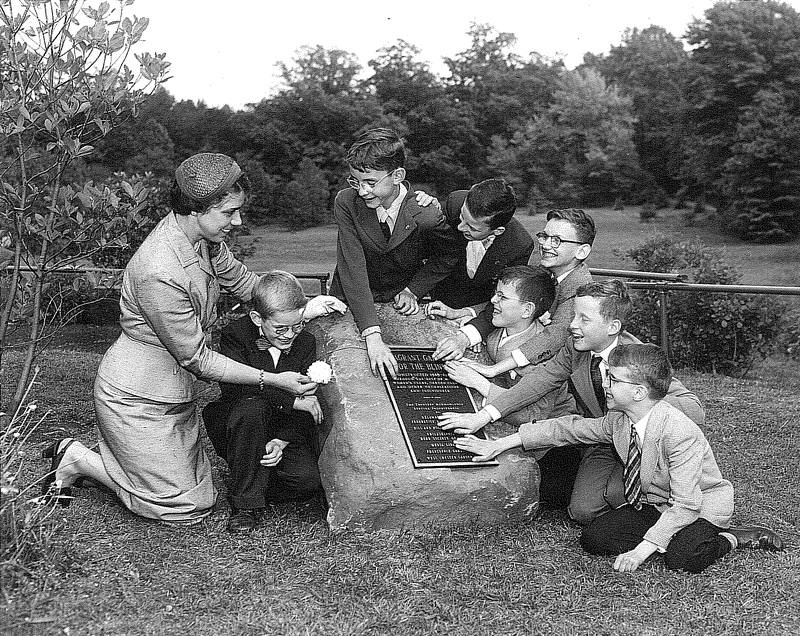 The dawn of the garden, in 1949, was a vision developed through the eyes of Charles G. Whittaker, who at the time was the Resident Superintendent at the Arboretum. C. G. Whittaker caught word of a garden in England that was specifically developed for the betterment of education and quality of life for the visually impaired. When plans of the garden commenced, Whittaker and the Arboretum reached out to the community to help solidify the garden’s development. Many local organizations took part in its evolution; including the Philadelphia Chapter of the Herb Society of America, which still maintains the garden today. In the beginning, the Fragrant Garden had three stonewall tiers and each level offered a different theme. The first terrace contained a flowerbed, the second featured 40 different herbs and the third was planted with perennials. The garden had a railing that wrapped around each level with Braille writing on it that would help the blind visitors identify each scent they experienced. The railings was also intended to provide the visually-impaired with independence as they were able to freely guide themselves around the garden. Click the images below to read Helen Keller’s letter to Tyler. 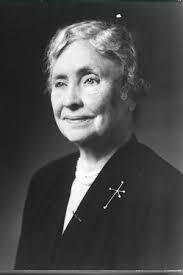 The letter from Helen Keller is framed and kept in archives in Lachford Hall. Helen Keller’s signature on the back of the letter. Over the years the garden has changed – the railing was removed as the desire to create accessible educational opportunities for all audiences increased. The role of the Herb Society in maintaining the garden has also increased. 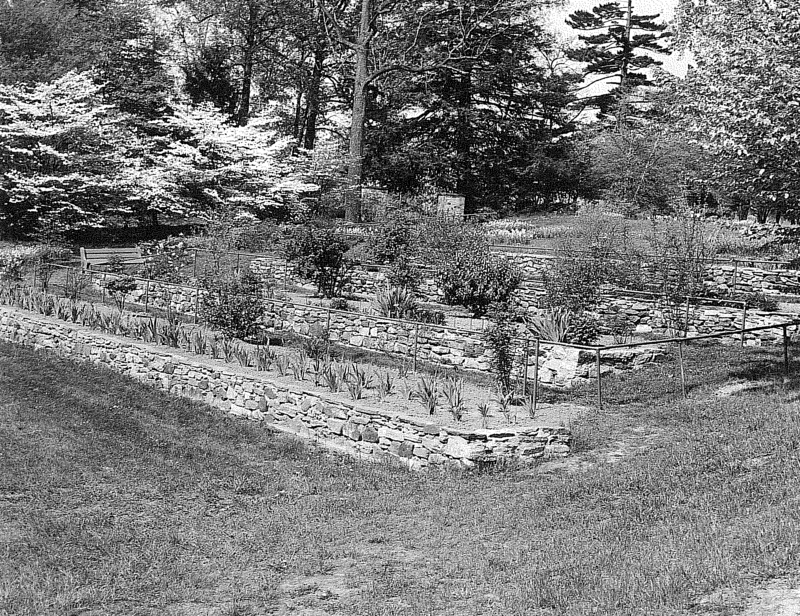 In 1949, the HSA primarily donated plants and herbs to the arboretum. By 1951, the HSA took over the design, maintenance and completion of the garden and has since worked closely with Tyler managing the terraces. Now is the perfect time to experience the aromas permeating the air along the terraces. The Fragrant Garden is one among many of the wonderful spots in the arboretum to embrace nature at its best, as well as a bit of its history.